As the daughter of a corporate buyer, Bethany grew up with plenty of exposure to Walmart… while Amanda’s parents were entrepreneurs. These ladies tapped into their upbringing and combined experience in the apparel, interior, floral and design industries to harness a great eye for styling bargains, building and marketing to an audience and establishing a brand. Once upon a time on Bethany’s blog, she had a regular post called Whoa, Wait. Walmart? dedicated to the reaction she would often receive to the cute outfits she found and styled from surprising Walmart pieces. These business (and real life) besties - who love the thrill of the hunt - have teamed up to build an exciting and evolving brand with more than 245K Instagram followers who tune in for their product recommendations from shoes and kids’ items to food and home decor. Their session will be a sharefest highlighting the duo's adventures, which have included being the voices behind jingles for Walmart Radio, navigating the icy waters of trying to make friends in the influencer world, being featured with pups in People and even launching an apparel line exclusively at Walmart. 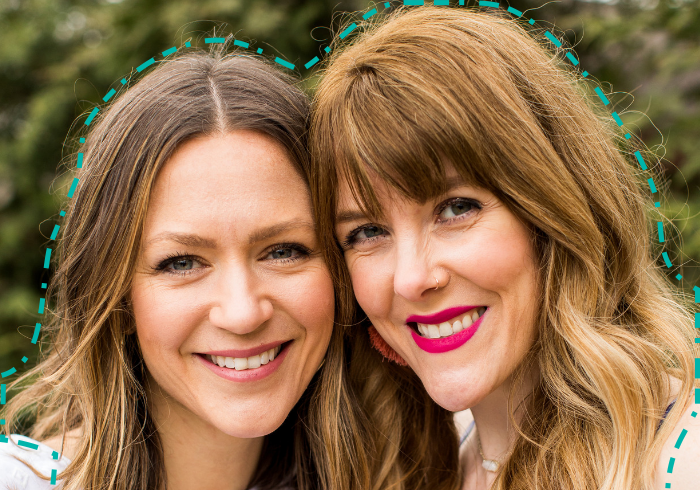 Both gals are moms to a gaggle of cute kiddos, and these days, Amanda can be found shopping the aisles in Nashville, Tennessee while Bethany holds down the fort in Bentonville, Arkansas. Run, do not walk, to get your tickets for #Megaphone19. This is one session you don’t want to miss. We're doing it for the 'gram! 8 years, 2 friends, 1 big dream turned reality.